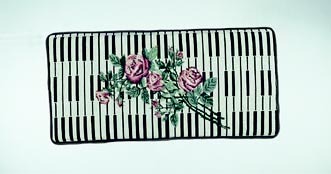 Keyboard & Rose Tapestry Cushion is rated 4.36 out of 5 based on 44 ratings. Sewn with matching black back, piping and ties. Comes standard 14" x 30"
Perfect for every setting - from victorian to modern.